La Mom may have walked away from her Hermès shopping trip with Chicago Dad empty-handed, but she held a secret only the guardians of the orange boxes know. And I’m here to share it with you. La Mom: These Kelly bags are splendide. Vendeuse Hermès: Oui, extrêmement beau. They last a lifetime. La Mom: (to self): For over 15,000 €, they better. La Mom: Does Hermès provide servicing for the bags? A clean and polish program every few years? 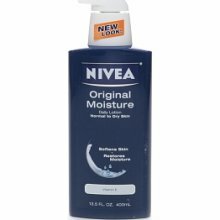 VH: I always tell the new owner of a Kelly that if they rub Nivea body lotion into the bag every six months, it won’t need to be serviced. La Mom: You mean la crème Nivea that costs 5 € at Monoprix? VH: You wouldn’t believe how Nivea nourishes leather. Try it on your bag. Vous verrez. Un: Rubbing Nivea into my skin after a good soak in the claw-footed tub in my country château. Deux: Rubbing Nivea into my buttery-soft Hermès Birkin and matching accessories. The leather drinks the lotion in like a Frenchman drinks wine – slowly. Trois: Well, I never got to step trois because La Vendeuse interrupted my daydream with another tip. VH (with condescending smirk): You should also buy Carrefour Market’s 3 € cleansing lait. It will take the scuff marks right off of your shoes. I recommend you try it this evening. So La Mom got the ultimate cheapo fashion secret. But it wouldn’t be Paris if I didn’t pay a price. Passy, the village-like neighborhood of the 16th arrondissement, home to many of Paris’s wealthiest residents, is the last place one would expect a murder -- but that's exactly what's happened! La Mom's helping her friend get the word out! 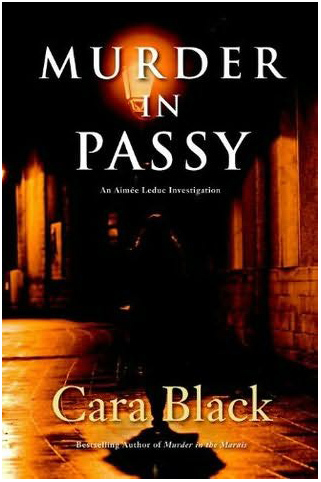 Cara will be reading from her new book, Murder in Passy, at the Red Wheelbarrow in the Marais @ 2PM on June 11th. Please join her! No plans this Saturday evening? Then don't miss handsome TV host Philippe Besson take LA by storm in Paris Dernière Los Angeles this Saturday, May 28th at 11:30PM on Paris Première! Thanks for sharing! I'm always looking for books that will "take me away from it all" and Paris happens to be my favorite destination. I just downloaded Cara's first book on my Kindle. ooh la la... the book sounds FAB!!! And the book sounds good, I will out it on my to-read list. @MaryBeth @Ulrike in Dubai - I tried it on two Gerard Darel bags and it worked! I would test it on your bags first before treating the whole bag. @melodramaticfool: Cara's got a whole collection of books that take place in Paris. Have fun reading them and feeling like you are in Paris! 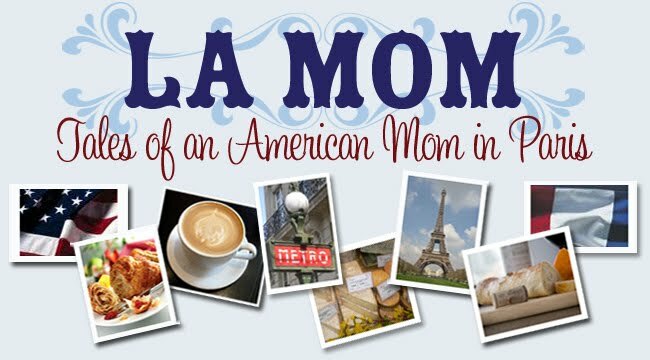 @FiFi: I think you need to feature Murder in Passy for your book blog! @Lady B and Little H: I use the thick Nivea cream (in the circular blue container) on my eyes and it works! I am done buying expensive eye cream. Sshh, I won't tell your husband your secret! @Natalie Lynn: I just found your blog yesterday via Circle of Moms. Nice to meet you! Call me crazy, but there is no handbag worth $20,000. There is not enough this bag can do for me that makes it worthy of such a price. A good cream for the skin however, PRICELESS! Nivea? Who would have known. Love reading your blog. Have added it to my blogroll - hope you don't mind. Looking forward to seeing you at 'I Know A Little Place: Paris'. @JenniferJames: Exactly. Beaucoup bang for your buck. @Cam: I like your thinking! @Happy HomemakerUK: thanks for stopping by!